How sound frequencies affect taste - will music replace sugar in your coffee? How sound frequencies affect taste – will music replace sugar in your coffee? Listening to a high pitched tune will enhance the sweetness of food, while a low hum will make your taste buds signal bitter. Obviously, listening to all low frequencies won’t turn your chocolate bar into a pickled vegetable, but research in this respect suggests there’s genuine synesthetic behaviour. Some restaurant owners are already exploiting this knowledge and play ambient music that is suited to the kinds of taste they’d like to influence. Scientists who are dwelling into this kind of research call it taste modulation, the ultimate frontier in food presentation. While most restaurants focus on creating an atmosphere out of decorations, a visual identity, lighting, genuine food culture, few really go over the top and create a synergy with sound. A double CD looping in the background may be a thing of the past. The Crossmodal Laboratory at Oxford University fed a group of volunteers some cinder toffee while playing them high- and low-frequency sounds, and asked them to rate the taste on a scale running from sweet to bitter. Just as I experienced in my kitchen, high notes enhanced sweetness and low brought out the bitter. But a laboratory setting is far removed from real life, so Charles Spence, who runs the lab, teamed up with food artist Caroline Hobkinson to test whether the results would be replicated out in the field. At the Crossmodal Laboratory at Oxford University, volunteers were offered cinder toffee while either a high or low frequency sound was played. They were then asked to rate the taste on a scale running from sweet to bitter. Apparently, high tunes induced a more sweetening sensation, while the low hum made food taste bitter. This was experienced in a lab setting, however, so the obvious next step was to take the experiment to a restaurant. The researchers teamed up with food artist Caroline Hobkinson and served what was labeled a “sonic caked pop” – chocolated-coated bittersweet coffee which when ordered was also came with a telephone number. When the guest would dial it, he would be greeted by an operator who would ask the caller to press one for sweet and two for bitter. The accompanying frequencies were then played. “It works with coffee, too,” she adds, and she foresees exciting possibilities such as sound replacing sugar in your morning espresso. The findings were confirmed by another study which matched the savoury taste, umami, with low pitches. 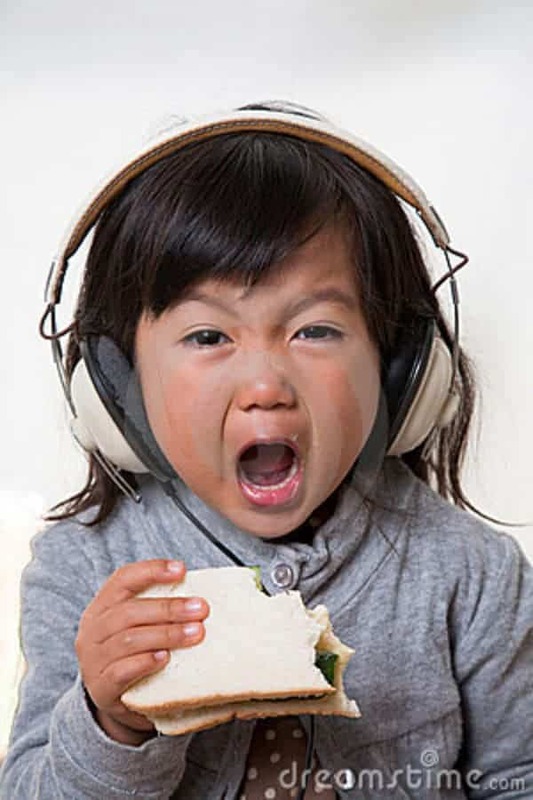 Also, a study from 2011 found that during flights the loud background noise suppresses saltiness, sweetness and overall enjoyment of food. “Have you ever noticed how many people ask for a bloody mary or tomato juice from the drinks trolley on aeroplanes? The air stewards have, and when you ask the people who order, they tell you that they rarely order such a drink at any other time.” says Charles Spence who led the study at Oxford. He reckons this is because umami may be immune to noise suppression. Would you like to experiment at home with this? Check this Condiment Junkie app, and play either the sweet or bitter sounds. Check yourself as objectively as you can for taste differences.